Home/News/Gym Service Request Made Easier! 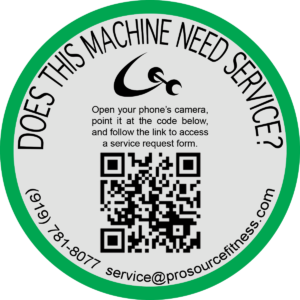 Prosource has been engaged to implement a new and easy way to submit service request for cardio equipment to be serviced! With their new QR Code Service Stickers, anyone can send then a detailed service request while standing right in front of the machine. It’s fast and it’s free! Each piece of Cardio Equipment will receive a sticker with a custom QR Code. When scanned, this QR Code will lead you to an online form where you can submit all of the information necessary to get the machine fixed. You can even take a photo of the problem so we can see exactly what is going on! Locate the Service Sticker on the machine that needs repair. Look for the GREEN border. 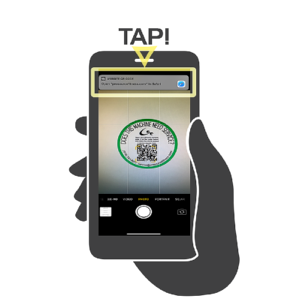 Using your Phone’s Camera, scan the QR Code, and tap the link to access the form. Fill out the form, making sure to enter as much information as possible. Take photos of the serial number and specific problem areas. 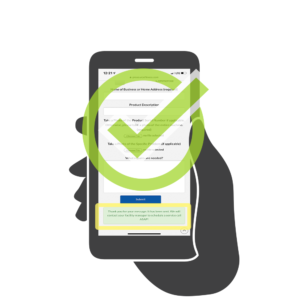 Tap “Submit”. 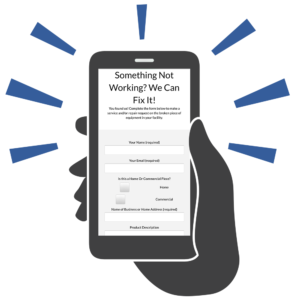 You will receive a confirmation message and we will set up a service call to your facility! If you have any question please contact the HOA office at 919-659-1214.